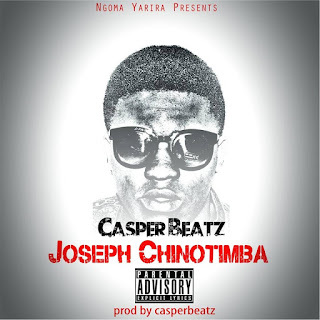 Some of you may remember his name from Noble Stylz' Papa but here Casper Beatz has chosen to be in front of the mic rather than just behind it with the track Joseph Chinotimba that he produced himself. In this track he refers to himself as the Joseph Chinotimba of Zim Hip-Hop that got in "while you were sleeping" (not to be confused with Art Department's album). He also gives a nod to Jnr Brown and Mariia, possibly questioning the awards issue. I like the beat and the laid-back flow, hopefully we will be getting more music from Casper Beatz throughout the year. If you love the track please share it, click like and pass it around to your friends. Let's help build Zim Hip-Hop to become what we want it to be.